Thank you for your excellent presentation at the International Trademark Association Conference in Berlin. I received numerous compliments, one after the other; about your topic and your presentation style ... all wonderful comments, of course. I do wish we had more time for you to talk, but you did an excellent job in such a short time period. You definitely covered everything you and I had discussed. 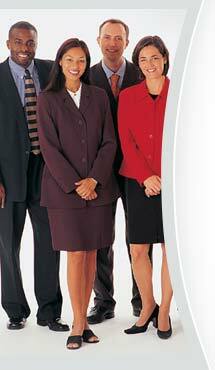 HIA is a boutique company, recognized as a leader in the field of cross-cultural training and coaching. Sheida Hodge has over 27 years of global business experience, and personally conducts many of the programs, actively participates in needs analysis and personally organizes each program to ensure actionable results for clients. Sheida Hodge started her first cross-cultural training company in 1991, and performed pioneering work in this area by researching and teaching cross-cultural communication and negotiation courses at Thunderbird and the UCLA executive education programs. Sheida Hodge was the Managing Director of Berlitz Cultural Consulting Division for close to five years, where she gained valuable experience in directing and managing thousands of training programs worldwide. Cross-cultural training programs are a core competency at HIA, differing from many companies that have added cross-cultural training as an ancillary service. At HIA, each training is personally customized, and trainers are chosen based on fit and experience as it relates to the client - we never process through a central dispatching service which could lead to a hit or miss delivery of services. Whereas some other companies merely aim to create sensitivity about differences in etiquette and discuss theoretical cultural values, HIA programs go several steps further to show practical business implications - enabling participants to take the tools they have learned, and use them at work to get immediate and tangible results. HIA hires only the most experienced trainers to address specific business issues - our programs are always substantive and never superficial. Try us and experience our difference for yourself.